Kögel, a leading trailer manufacturer, conducted a 24-hour non-stop test under the most severe loadings at an airport hired by them specifically for that purpose. 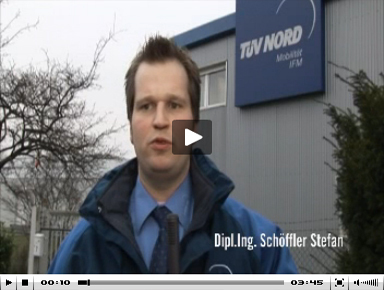 The whole operation was supported and supervised by TÜV Nord, the testing and certification body. The commercial vehicle tyres and rims were supplied and fitted by the Hämmerling Group. Premium and standard quality trailer tyres were tested along with those of their own ATHOS Premium truck tyre brand. "Good price-performance ratio. No failures. Performed well in snow. Excellent visual appearance." "As good as Dunlop, better than Continental. My customers were very impressed by the price and the quality. I am now selling a lot of these tyres as an alternative." "What customers value above all is their value for money and, thanks to stockholding, their good availability." Tell us your opinion about ATHOS commercial vehicle tyres!